Join us at Booth #1119 to learn how to open your print shop to new possibilities and win even more work than you ever thought possible. Experience first-hand live demonstrations of all the innovative technologies featured on this page by registering on the form below! The Acuity LED 1600R is a reliable roll-fed production machine built to deliver exceptional results with economical cost-in use. It’s an ideal entry into productive LED-UV printing, with an easy upgrade path. The Acuity Select has 4, 6 and 8 channels offering application-specific color configurations including lights, white and varnish ink options. These options provide a wider selection to further enhance productivity, quality and add versatility. 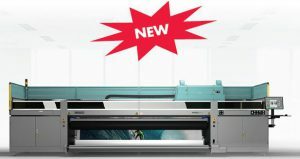 The new Acuity Ultra Series is available in a 3.2 meter and 5 meter model and features impressive cost-in-use, giving you the power to profit from interior and exterior applications – where high-impact, near-photographic quality is required. The Inca Spyder X is a robust 126″ (3.2 m) wide, 6 color plus optional white versatile printer available as either a flatbed or a combination flatbed and roll-to-roll (R2R) model for handling rigid and flexible substrates. The Inca Onset M is a small-format, high quality digital printer designed to address the evolving needs of the commercial, display graphics, packaging and industrial print markets. It enables the production of on-demand short run work and endless customization of print campaigns. Schedule your live demonstration at SGIA by filling out the form on the right. Fill out this form to schedule your live demonstration and see how you can Win Even More Work at Fujifilm’s booth #1119.